Salvage cars are tough to sell to a third party buyer or at an auction. Even scrap yards can make it complicated for the vehicle owner to sell their car. Origin Cash for Cars is a company that does away with all the hassles of selling a salvage title vehicle. We simply offer you cash and come and collect the vehicle for free. How’s it work? Take a look! So, just how do you get the cash? 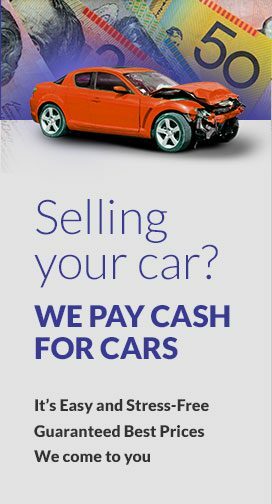 Firstly, you need to give Origin Cash for Cars a call to obtain a cash quote on your unwanted car, truck, van, SUV, ute, 4×4, or bike. We make offers of up to $8999 instant cash. If that is not easy enough, we make it even easier. Accept our offer and we’ll schedule a free car removal any hour of the day or night of your choice. Simply remove your plates to the vehicle, have the title and salvage certificate ready as well as your proof of photo ID. Direct us to the vehicle so we can take a quick view of the exterior, interior and under the hood. Sign the paperwork we provide that releases the liability of the vehicle to us. We do away with the traditional hassles and headaches of selling your car and make it an effortless sale! For the best in car removal services, give Origin Cash for Cars a call. We are the car removal company in Newcastle that services all vehicle owners with instant cash at the time we collect their unwanted car, truck or 4×4. We buy salvage vehicles of all makes and conditions and pay instant cash.